I think I’ve made it my mission in life to find the best wide mouth water bottles! 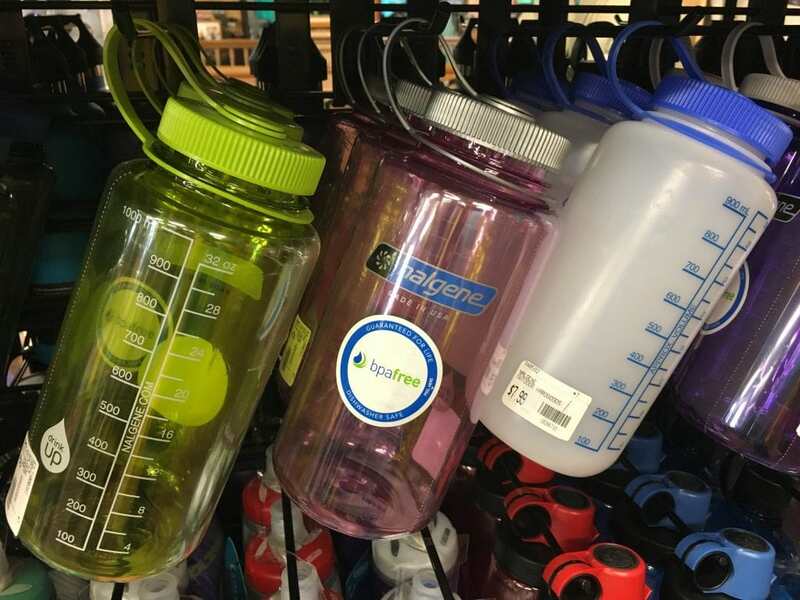 Because while I firmly believe that reusable water bottles are the best way to stay hydrated, I also realize that some water bottles are just not safe and can become unhealthy. Because those water bottles with a narrow neck and opening don’t allow for proper cleaning. Which is a big NO-NO! If you (or your dishwasher) can’t get soap and hot water inside, then germs and bacteria are going to breed. And who wants to drink fresh and healthy water from a nasty water bottle? So even when I’m offered free water bottles at press events or health fairs to review, I almost always decline. It’s not because they’re not good at the concept of reducing your need for disposable plastic bottles. It’s because I don’t want to be inconvenienced trying to keep the things clean. After all, if something isn’t easy (especially when it comes to cleaning), chances are you won’t do it. Am I right? Sure, you can buy an additional water bottle brush to clean the reusable water bottles. I don’t have the patience for that. I want my water bottles to be cleaned along with all of my other dishes without special attachments to reach for. What are Wide Mouth Water Bottles? How big should the opening of a water bottle be to be called a wide mouth water bottle? There’s no rule of thumb. However, if you can’t fit an ice cube in the opening, then it is definitely not wide mouth. I also look at the opening and consider whether I can fit a sponge inside the opening. Most of the water bottles that I buy are insulated, which means that they can’t go in the dishwasher or it will ruin the insulation properties. So I have to wash with a sponge by hand. If I can’t fit a normal size sponge in the opening, there is no way that I will use the water bottle. Consider doing the one-eye test, too. What’s that? If you have to close an eye and put the water bottle up to your open eye just to see inside, then it’s way too narrow! 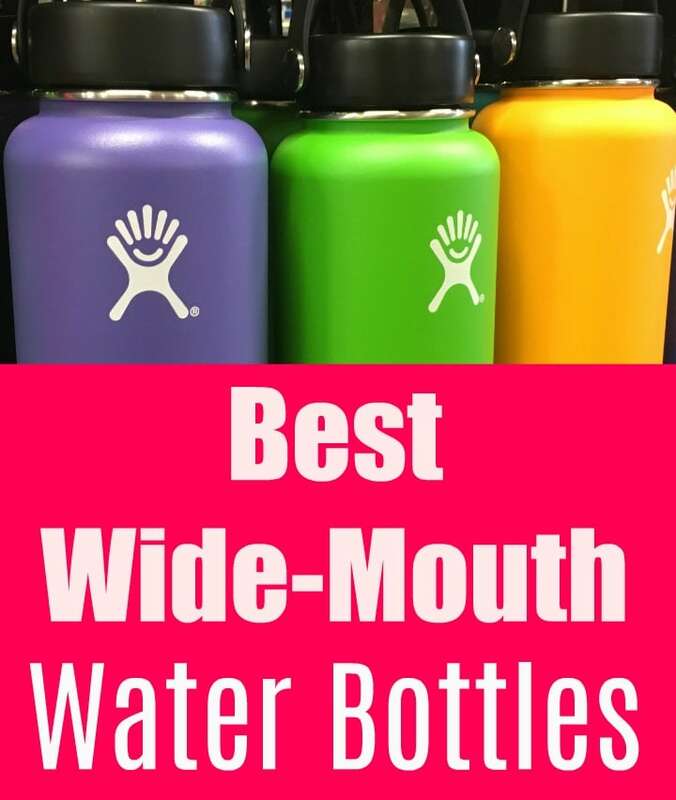 These are the best wide mouth water bottles that I use and recommend. I’ve bought them with my own money, no freebies to review. This was the very first wide mouth water bottle that I got over a decade ago and I’m still using it. I’m usually carrying it up a mountain on a trail somewhere. It keeps going and going and still works great. 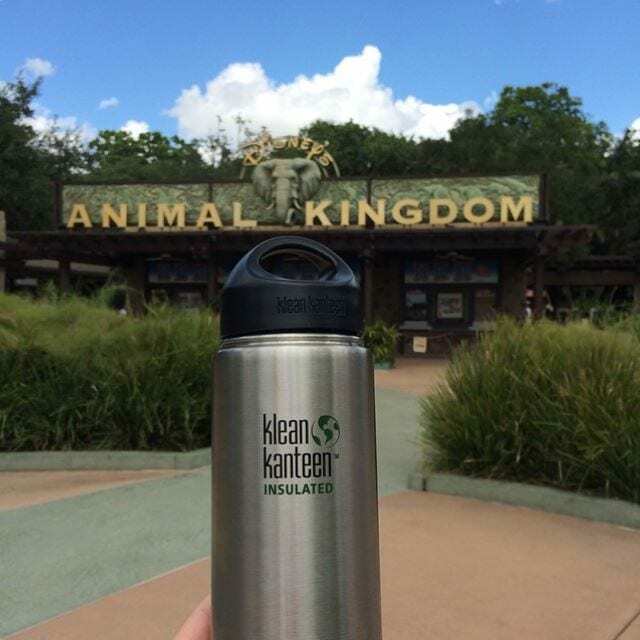 I highly recommend this water bottle and all of Klean Kanteen (I use a lot of their products while hiking)! I was looking for another insulated water bottle, and would have bought another Klean Kanteen. Here in North Carolina, though, I kept seeing rows of brightly colored Hydro Flasks for sale, and few Klean Kanteens. 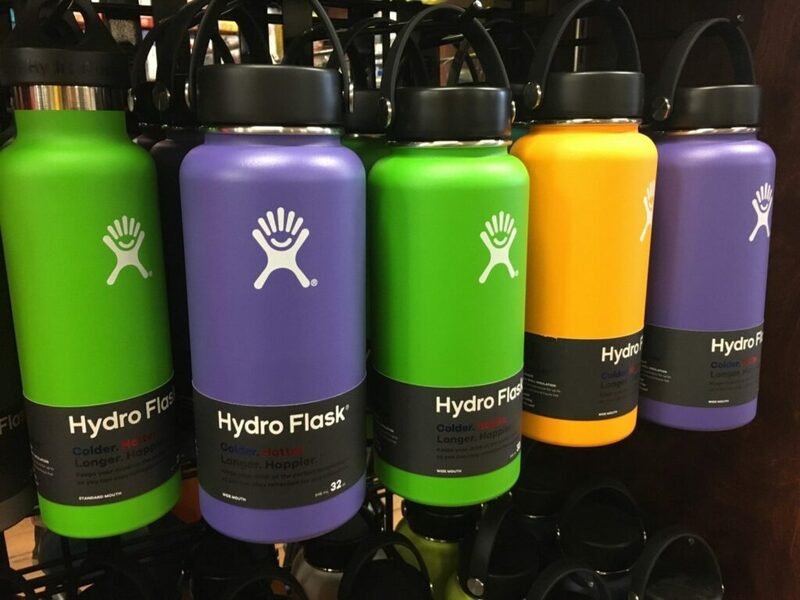 Hydro Flasks aren’t cheap. Of course, neither are Klean Kanteens. Yet I fell in love with their rainbow colored water bottles. Then I discovered that the bottles had wide mouths, some of which seemed a bit bigger than Klean Kanteen. I bought a blue one in a color that I love and have instantly discovered why so many people rave about Hydro Flask! 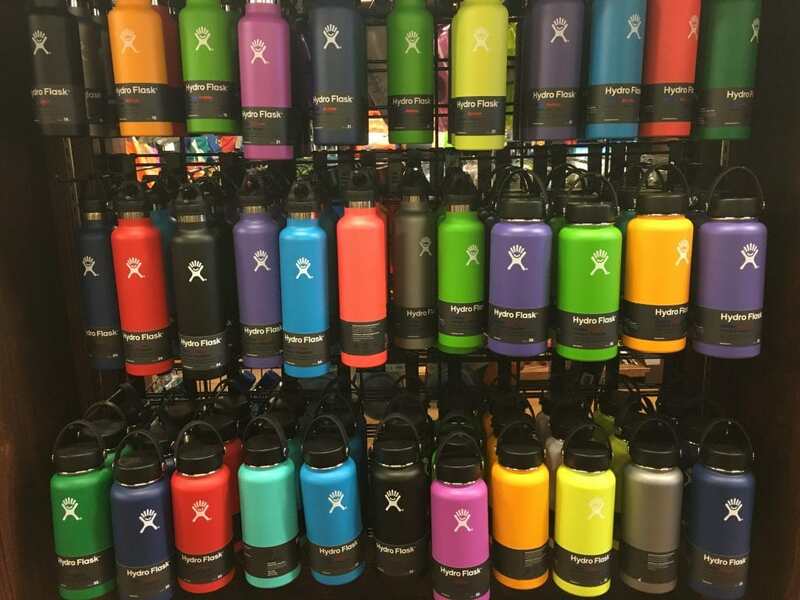 Super insulated with fun colors, and lots of options (we chose the 32 oz. 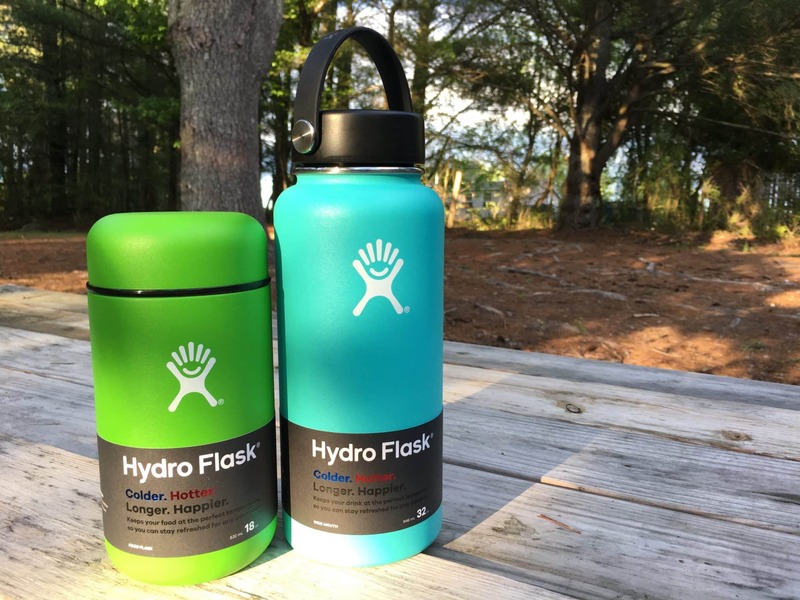 one to carry only one water bottle on the trail yet have enough water for both of us), I’m a huge fan of Hydro Flask now. This water bottle company was the very first that I ever used. I would carry my bright pink plastic Nalgene bottle around work with me all day when I was working in a bookstore. Nalgene plastic states they are BPA-free, so they’re great alternatives when you want the lightweight convenience of a plastic bottle and aren’t as worried about plastics as I now am. 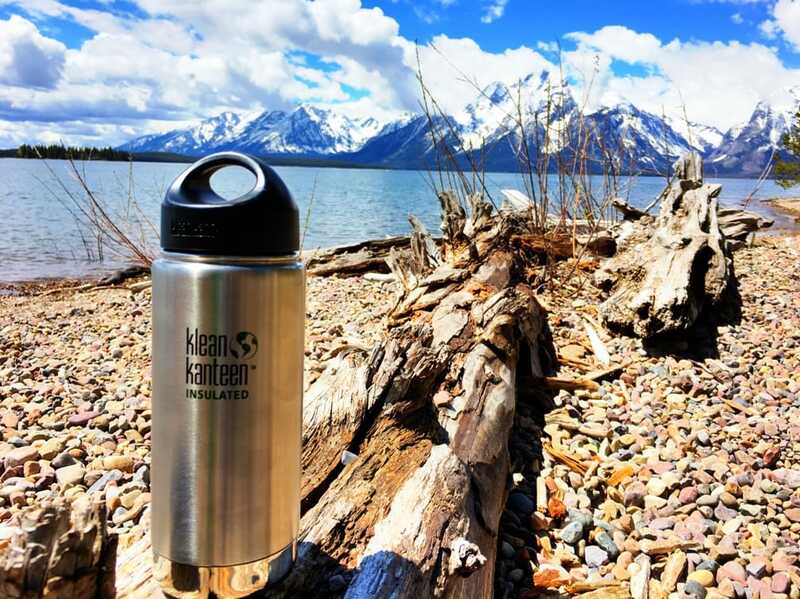 As one of the best wide mouth water bottles available, Nalgene is a great addition to this list! 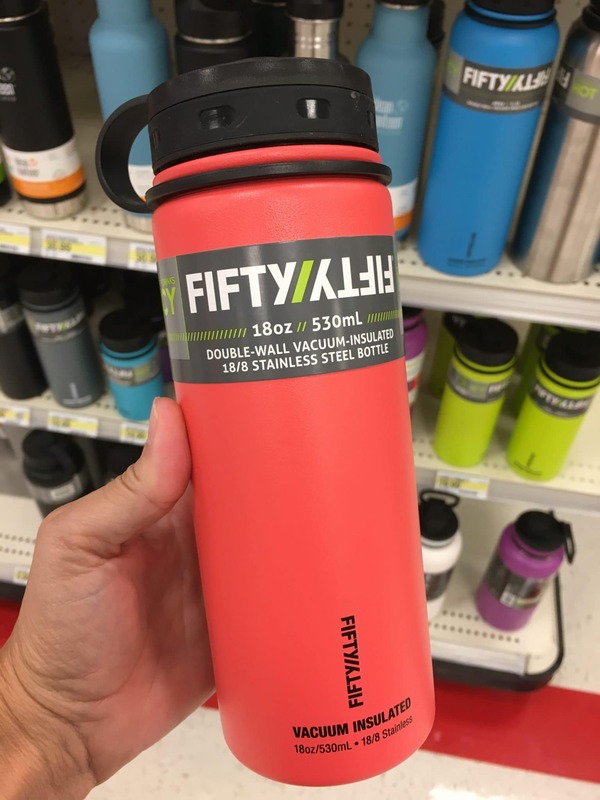 I haven’t used the Fifty/Fifty brand, but I’ve walked around Target with it in my cart so many times that I feel confident recommending it 😉 I love, love, love the colors and the price point is way less than Klean Kanteen and Hydro Flask. I don’t know if it works as well, as it doesn’t seem to have insulation that is as thick, but who knows? If you’ve tried it, let me know in the comments. The opening is definitely wide mouth, and I love the different sizes, too. The only drawback – and the real reason that I haven’t invested in this one – is that there isn’t any easy handle to hold while hiking. No handles like Klean Kanteen and Hydro Flask. But if you’re not on the trail and using it more at a desk or in the car, these would be great options!